Easily Update Address Fields in Vtiger CRM. Autocomplete address fields as you start typing in your Vtiger CRM. Quick address suggestions as you start typing. Auto completion of address fields in all Vtiger entity modules. Define unique mapping fields for each module. Multiple mapping to autocomplete shipping and billing with different addresses. Switch On and Off postal address lookup for any specific Vtiger modules. Intuitive interface with button colors same as chosen theme. Address Lookup works securely with Google Places API. Get your own API and Configure it. Map the related Vtiger CRM Address fields. Address Lookup let you add multiple mapping. Just start typing, Address Lookup will do the rest for you. More accurate address suggestions. Try our live demo to learn how the Address Lookup for Vtiger CRM works. Typing customer address in multiple fields of Vtiger CRM without any mistake is difficult. Automate address filling to save time, prevent typo and increase productivity. Start typing in a Street field and choose the relevant choice from the suggestions. 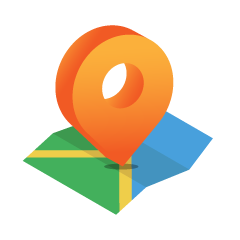 Address Lookup will fill up the other state, country, etc., addresses for you. Adding customer information in Vtiger CRM with different Shipping and Billing address requires additional effort and care. Address Lookup fetches the address from Google places API. Mapping enables to map the fields with appropriate Vtiger address fields to autocomplete before your salesman types. Multiple choices of mapping improves efficiency and accuracy. Complete control of address filling in all Vtiger CRM entity modules. Turn On and Off the postal address lookup to autocomplete your customer billing, shipping or any address fields. More flexibility enables to configure address suggestions on selective modules in Vtiger CRM.